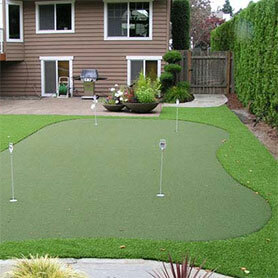 If you’re looking to install a putting green in your backyard, we’ll help you lower your handicap from home. You don’t have to worry about the silly windmills, putt-putt or clowns here. 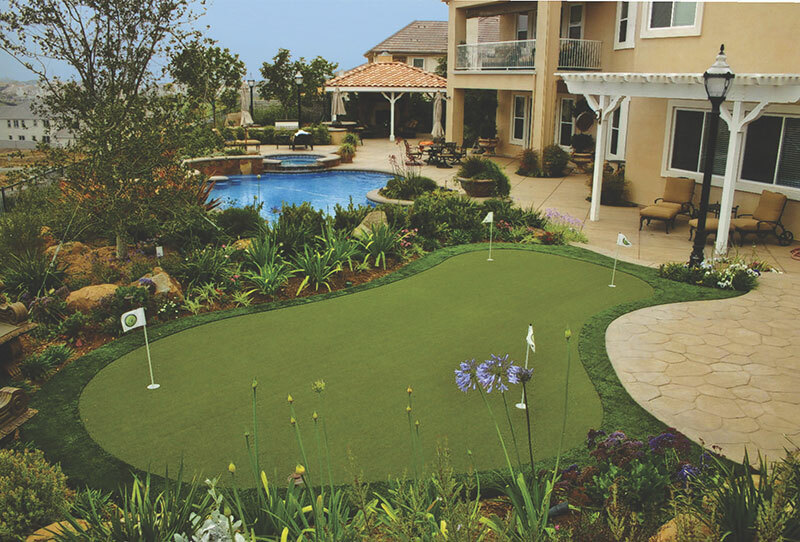 Tour-quality home putting greens are ideal for perfecting your stroke. Contact us today to begin transforming your yard! 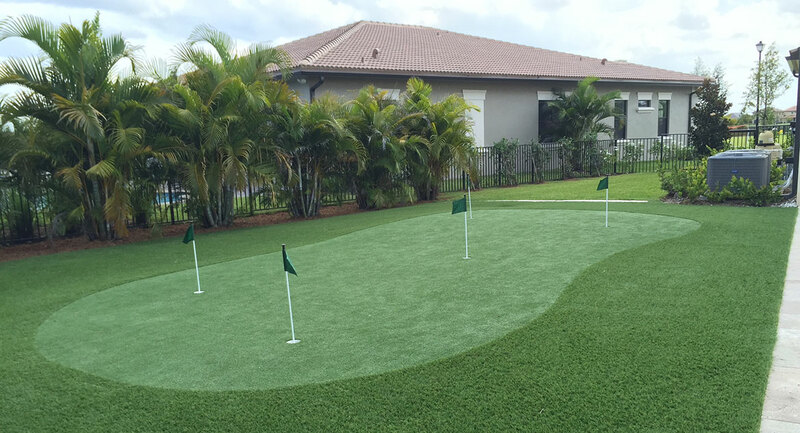 Build your favorite green at home and watch your game improve. 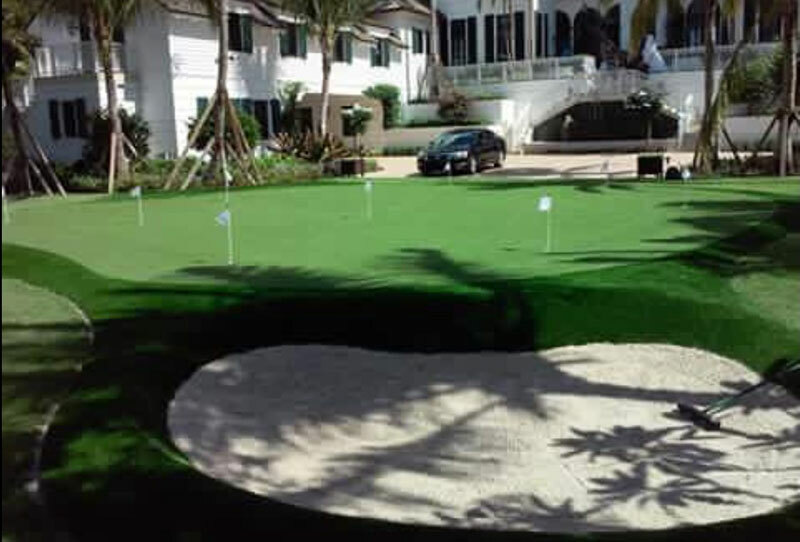 Sport Court of South Florida provides putting greens for both residential and commercial applications. Custom built courses for champions. 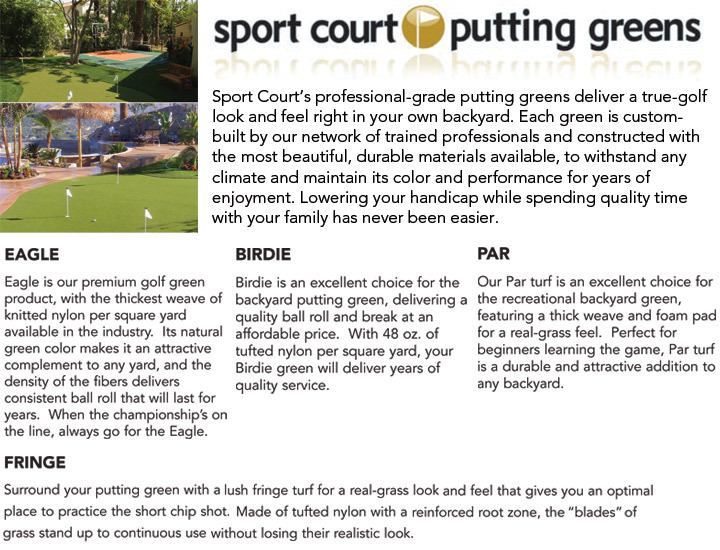 Birdie: Quality ball roll at an affordable price makes turf an excellent choice for your backyard. A full 48 oz. of tufted nylon per square yard ensures years of play. Eagle: Our premium golf product is the thickest weave of knitted nylon per square yard you can find in our industry. This natural green color to the grass makes it the perfect complement for any yard. 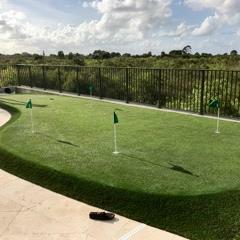 Par: This great choice for recreational backyard green features a thick weave and foam pad for an authentic grass feel. 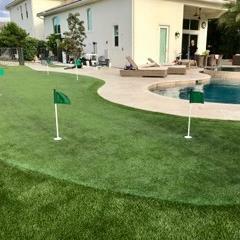 This turf is perfect for any beginner learning the game. Fringe: Surround your turf with a real-grass look and feel. This will give you the ideal place to practice short chip shots. The blades will continue to stand up without losing the realistic look for years to come.